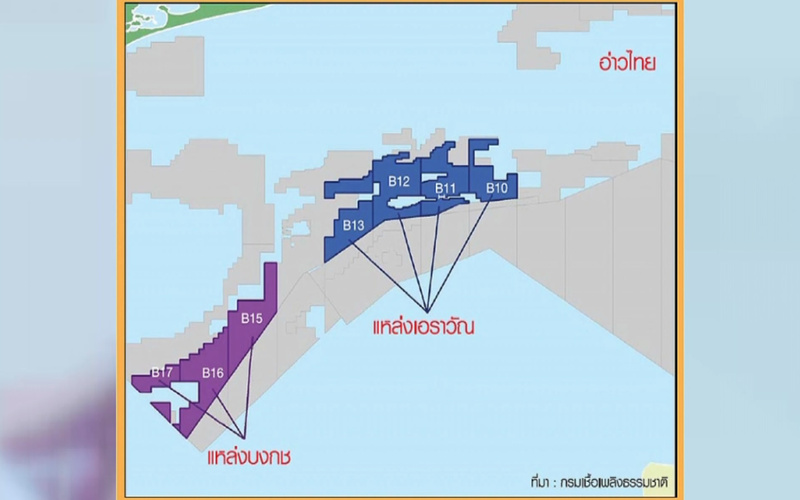 The Department of Mineral Fuels has drafted the terms of reference (TOR) for the concession of the Erawan-Bongkot gas fields under production sharing contracts (PSC) in a bid to prevent gas prices from rising. Chevron president asserts its readiness to reclaim the Erawan field, while PTTEP will join the bidding of both fields, saying is ready for the PSC system. Mr. Veerasak Pungrassamee, Director General of the Department of Mineral Fuels, revealed that the Cabinet had approved the criteria for the announcement of the regional petroleum field auctions, with production sharing contracts (PSC) used for those in the Gulf of Thailand, the Department was working to put forward the terms of reference (TOR) for concessions due to expire in 2022-2023, namely the Erawan and Bongkot fields, to be submitted to the Petroleum Committee. After approval by the Ministry of Energy, the TORs are expected to be reviewed in the Cabinet meeting this September, and the auction for these concessions should begin in late September or early October. The concessions of other petroleum deposits will be up for bidding three months after the TORs of these two fields have been reviewed. The regime for PSCs is based on income generated from recovered petroleum, consisting of 10% for royalties, 50% for recovery costs, and the remaining 40% to be split equally between the private operator and the government for profit sharing. Private entrepreneurs may propose other ratios for profit sharing. The new TORs will require private bidders to propose their production plans to ensure continuous operation at appropriate production rates and will oversee that Thai labor is hired for the operation and the gas prices are not higher than earlier. “The fiscal regime of the Erawan-Bongkot fields has been adjusted to correspond with the shifting terrain and ensure that the gas prices remain low so as not to impact the electricity tariff. As for workers, the Department will formulate further regulations and may prescribe Thai worker employment percentage of 70-80% to prevent unemployment. In addition, participating bidders must also have prior experience in petroleum exploration and production in other petroleum deposits with no production capacity than the Erawan-Bongkot fields. Furthermore, the Department will meet with PTT PLC to discuss possible gas purchase terms that correspond with the government’s regulations,” said Veerasak. Mr. Steve Green, President of Chevron Asia Pacific Exploration and Production Co., Ltd., said that Chevron Thailand is in preparation to join the auction of the expiring concessions to maintain uninterrupted energy production and ensure continuous the development of economy and quality of life of Thai people. Mr. Somporn Vongvuthipornchai, President and CEO of PTT Exploration and Production Co., Ltd. (PTTEP), revealed that the company is ready to bid on both Bongkot and Erawan fields. 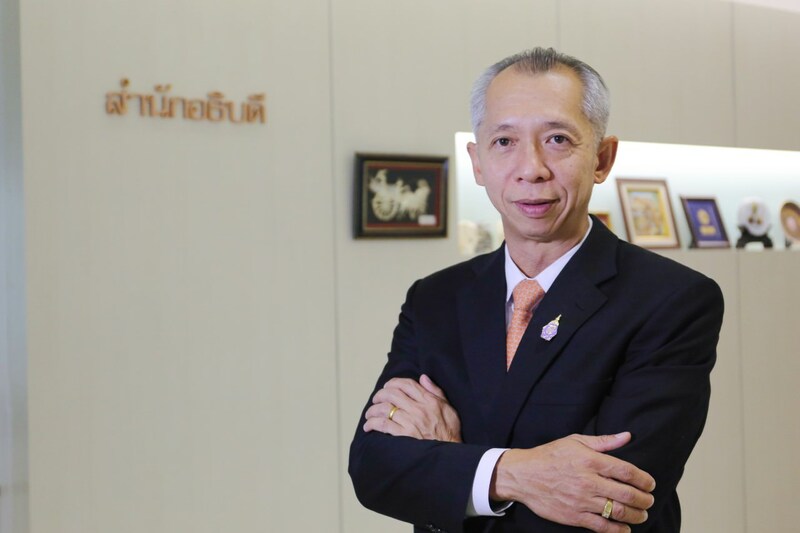 As a national oil company with the government as a shareholder, PTTEP aims to win the bidding in order to keep a Thai company involved in the natural gas production from these two gas fields.